Welcome to another episode of #ThatBusinessShow with Jamie Meloni on #1250whnz every weekday at 8am! Today is Wednesday which means its #WorkingWomenWednesdays here on #ThatBusinessShow. Today we had a great lineup of women that are working to help impact our community. 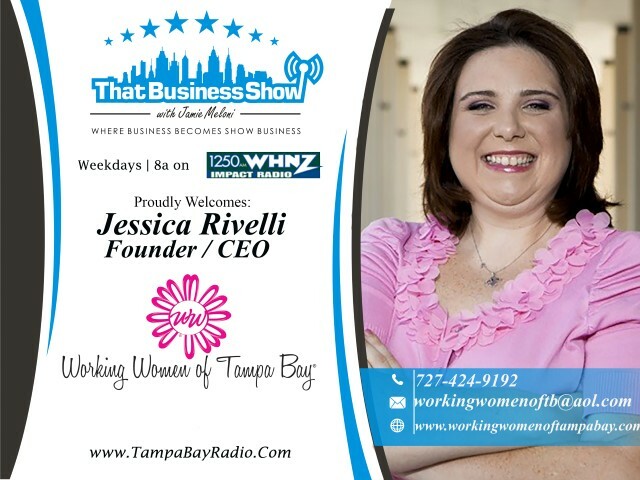 Jessica Rivelli with Working Women of Tampa Bay work to better our community by teaching women the skills they need to have in order to move forward in this world as a political leader, a business owner, or simply someone looking to make a positive change. Jessica called in and informed us of the Working Women Conference coming up! The conference is a two day event, September 10th and 11th at the Straz Center in Tampa. They will have many keynote speakers that will share their experiences and knowledge with the people that attend, giving the community the knowledge they need to excel! Don’t miss out on this great opportunity to get ahead! You can visit their site at http://www.workingwomenconference.com to learn more and to purchase tickets. Use the special promo code “meloni2015” to get a special deal! Our two other guests were Trimeka Benjamin, President of Swim Digital Media Group; and Jessica Muroff, CEO of The Girl Scouts West Florida Coast! 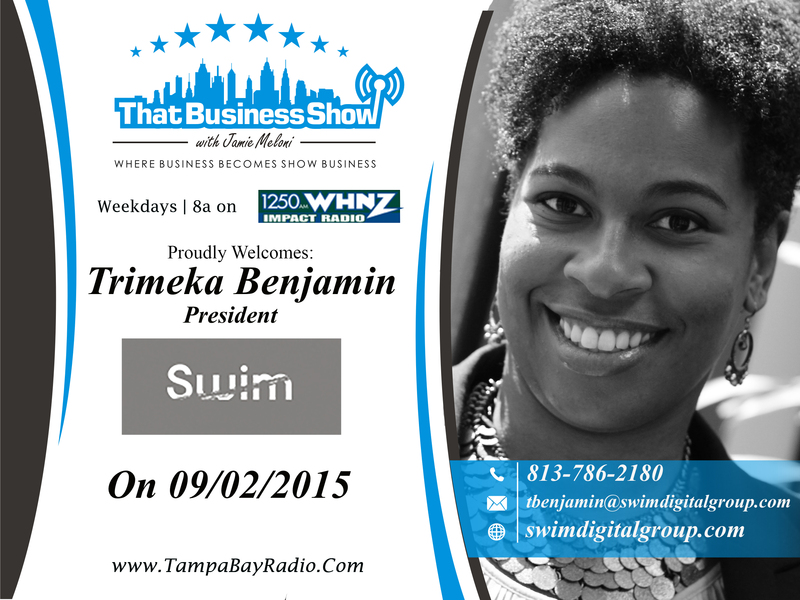 Our first guest was Trimeka Benjamin, President of Swim Digital Media Group. Swim Digital Media Group specializes in the exploration of the digital media sphere. They help their customers understand the underlying problems of why they aren’t getting as much exposure as they can, and they help them get that exposure through the complexity of algorithms and targeted media campaigns; all aspects of the huge and complex media sphere. Trimeka spoke to us about how people think social media is all they have to look after, when in reality social media is only a minuscule part of the digital media sphere that she connects people to; therefore increasing their exposure. Trimeka will also be a speaker at the Working Women Conference so make sure to attend to get those great tips on getting your word out there! Remember the promo code “meloni2015”! 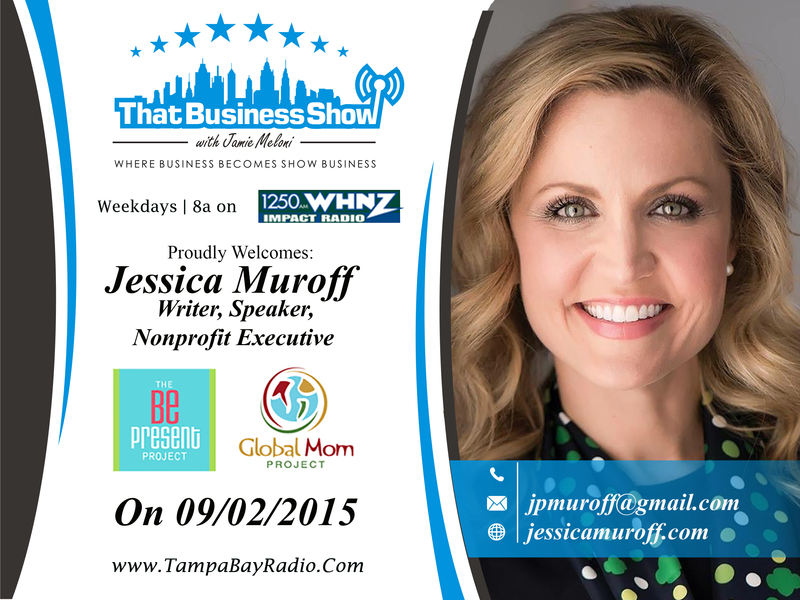 On the last segment was Jessica Muroff, CEO of The Girl Scouts West Florida Coast. Jessica discussed with us her passion to help our community through the Girl Scouts Association! She has a drive to help young girls develop the skills they need to become successful business leaders, politicians, or just to be confident and work hard for their future. There will be a special ceremony for the reception of a golden medal, a prestigious award given to exceptional girls with years of hard work on September 9th. This special medal will be given to a girl who has worked in the local community with restaurants to feed homeless citizens over 1 million meals! learn more about this special event and also volunteer at http://www.gswcf.org! Jessica will be a speaker at the Working Women Conference as well, speaking about learning how to radiate confidence and passion and how that helps to create change for the positive! This entry was posted in Articles, Entrepreneurship and Business and tagged business, radio, show business, success, working women of tampa bay. Bookmark the permalink.